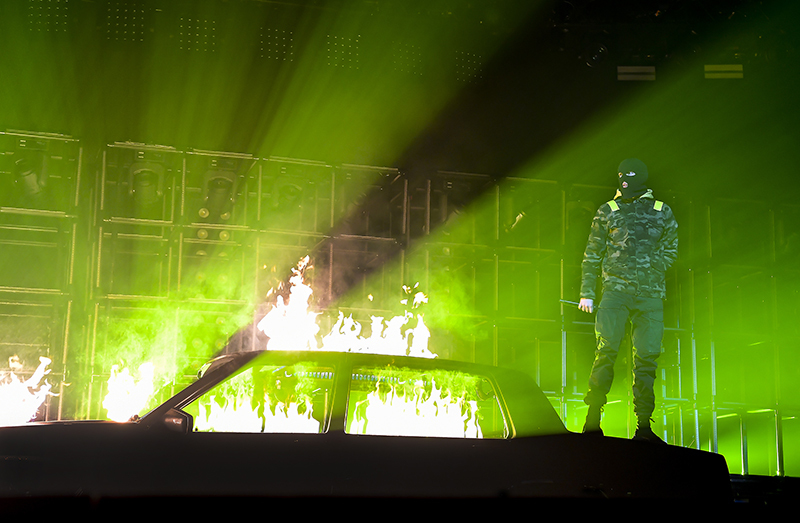 Twenty One Pilots is the alternative rock, pop, electro rap duo Tyler Joseph (lead vocals, keyboards, guitar, bass, ukulele) and Josh Dun (drums, percussion, trumpet). 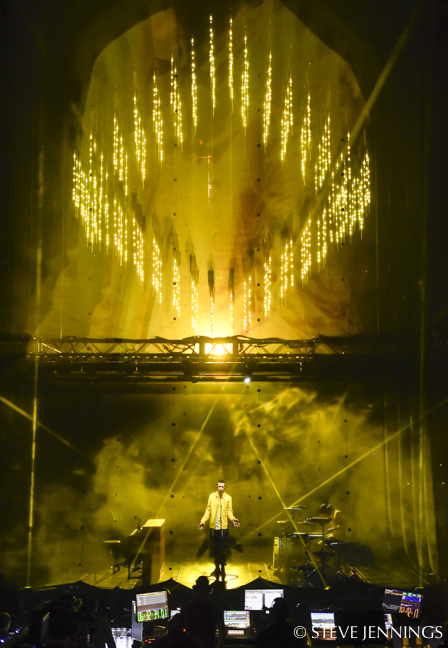 The act’s current “Bandito” tour is supporting their fifth studio album, Trench, released Oct. 5, 2018. 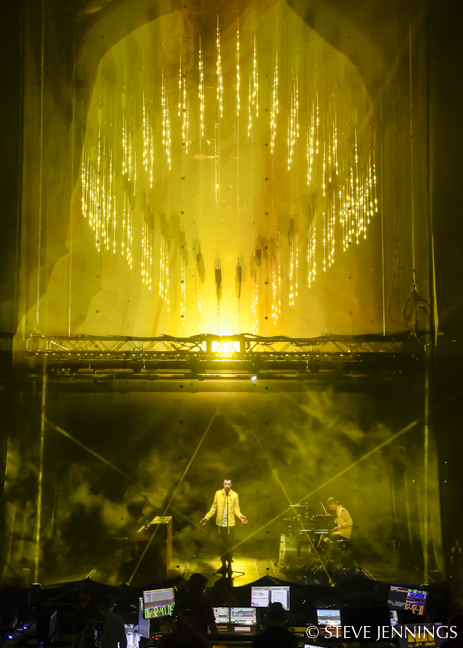 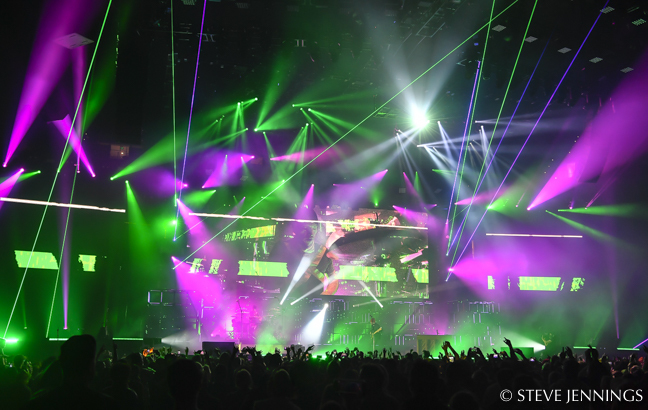 PLSN spoke with designer and programmer Daniel Slezinger and designer, programmer and director Tyler “Shap” Shapard about the production for the tour, which launched in mid-October and runs through late August, 2019, with legs in the U.S., Australia, Europe and South America before it returns to North America this summer. 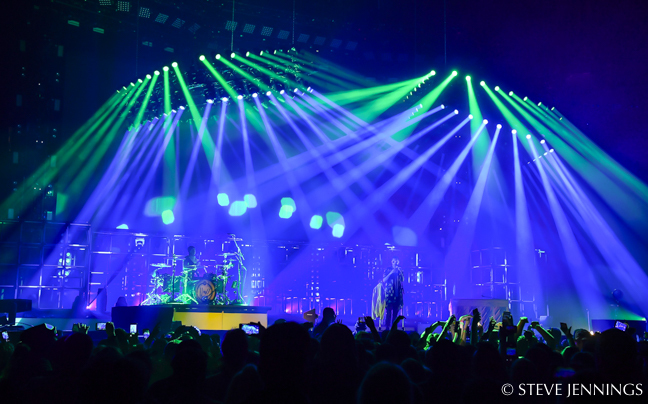 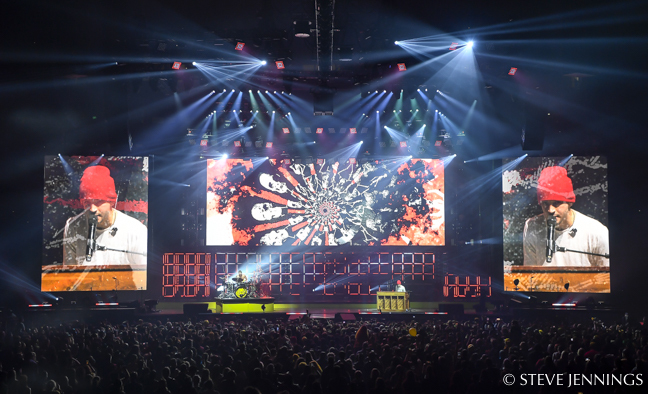 Daniel Slezinger says the first ideas for the current “Bandito” tour emerged during the act’s “Tour de Columbus,” which capped their 2016-2017 “Emotional Roadshow” world tour in support of their fourth studio album, Blurryface, released in May 2015. 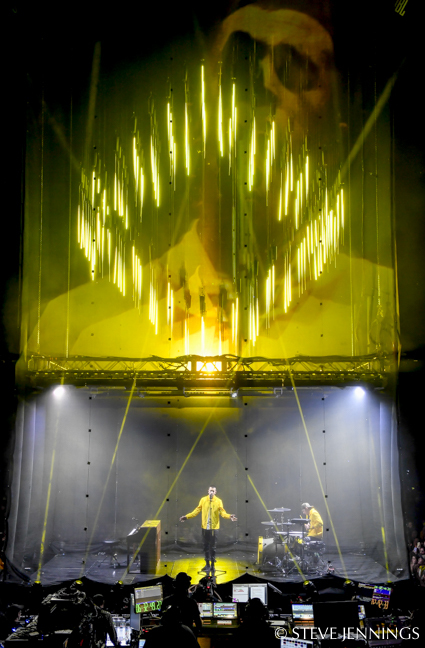 That summer (2017), Slezinger and Shapard started creating “puzzle pieces” that they could each bring to the table and try to merge them together into one cohesive show. 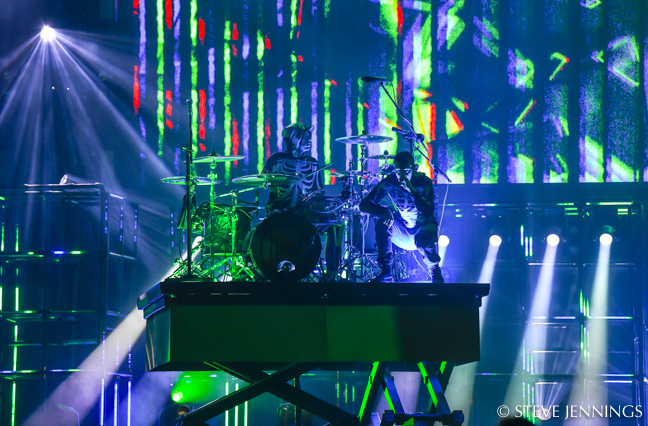 Then, to take things up a notch, Tyler Joseph and Josh Dun had about 10 people on the act’s management and creative teams come together on the 21st of every month to the studio, starting in January 2018, “so we could stay on the same page,” Slezinger continues. 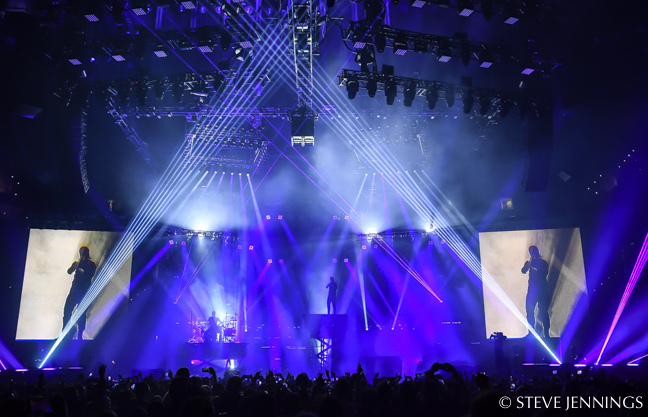 “The first meeting, we just listened to the vision for the album and the tour and soaked it in. 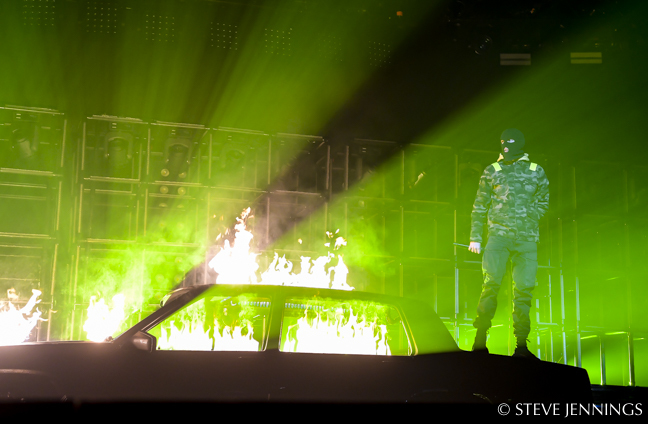 It was really exciting and inspiring and gave us a sense of what the next few years’ vibe should feel like, from every aspect of Twenty One Pilots. 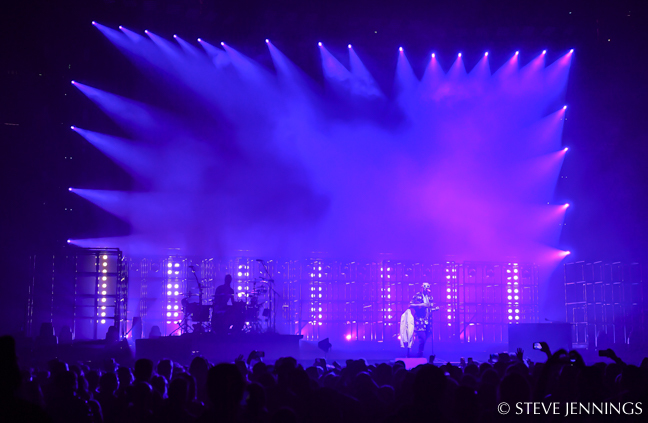 Slezinger and Shapard traded ideas in both SketchUp and Vectorworks. 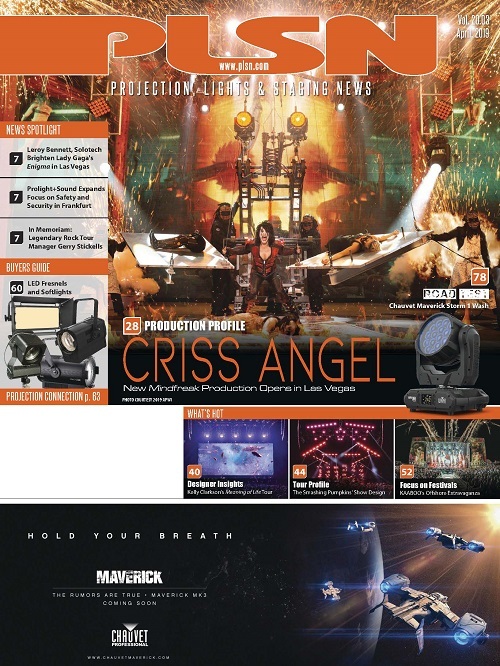 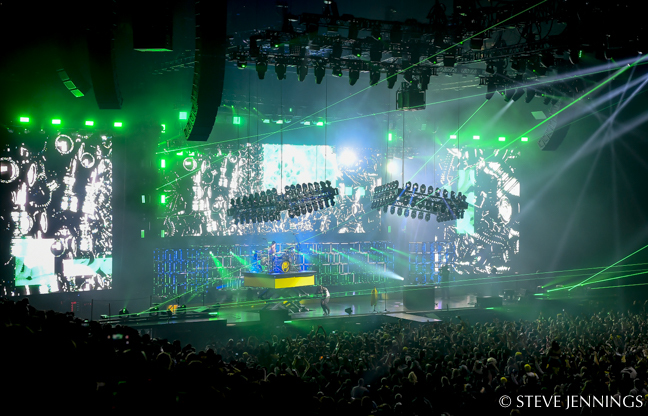 Bruce Rodgers, who seemingly has become Slezinger’s “Yoda” after working together on several Super Bowl Halftime shows, among other projects, helped create visual renderings of some of the concepts they had. 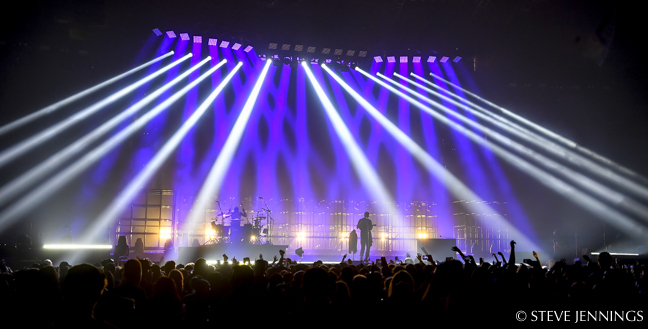 (Rodgers has also served as a mentor for Justin Roddick, one of Slezinger’s partners on the Concert Investor team — see sidebar, page 36). 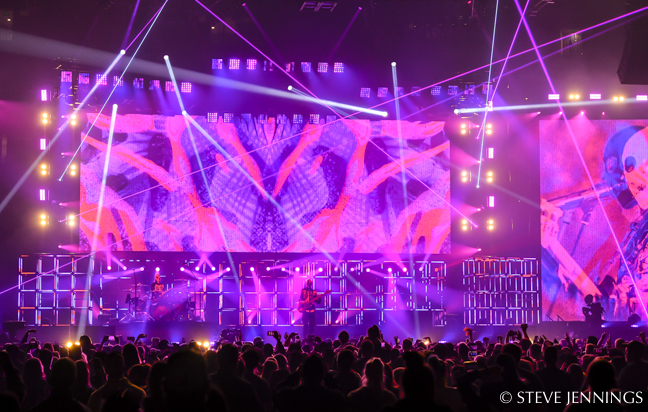 After many weeks of creating drawings and getting accurate with the details, they presented the puzzle pieces and they were — to Slezinger and Shapard’s surprise — all accepted by the band. 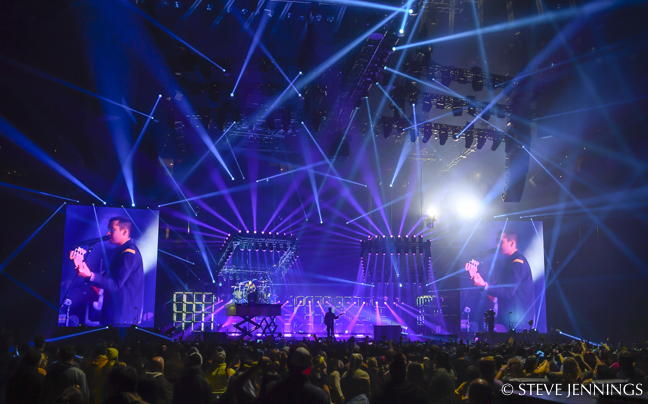 “We had intended for maybe half or even a third to make it into the show as a starting place, but the conversation just got deeper, and more about the logistics of how we transitioned from moment to moment in the show,” says Slezinger. 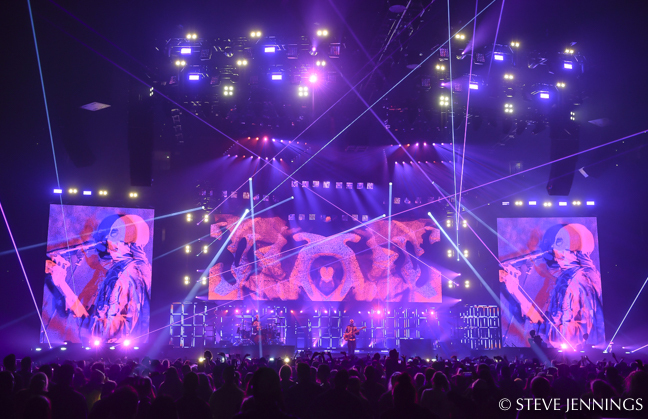 Both Slezinger and Shapard spent 60 long but very inspiring days in the previz room at VER Nashville where they had two grandMA2 consoles, two 98-inch monitors and four NPU’s. 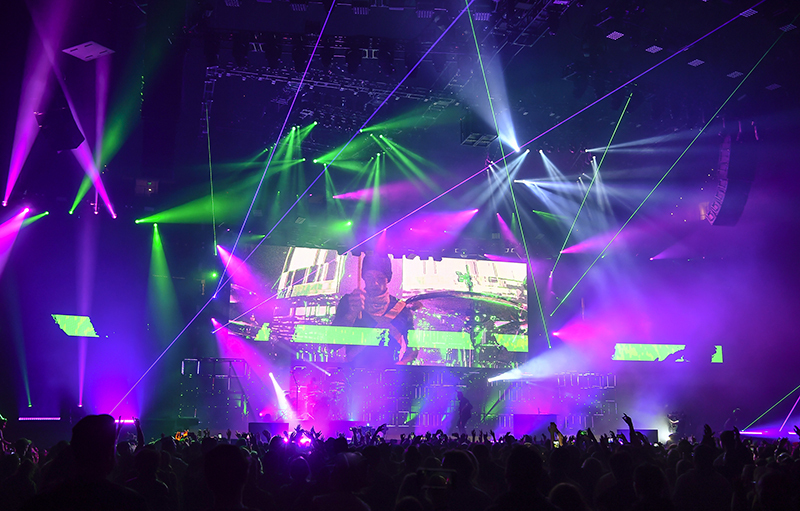 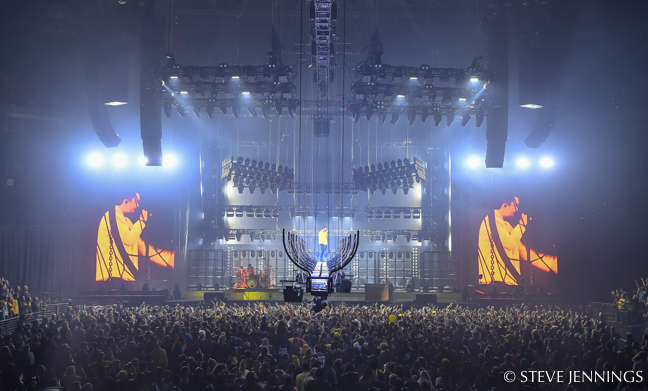 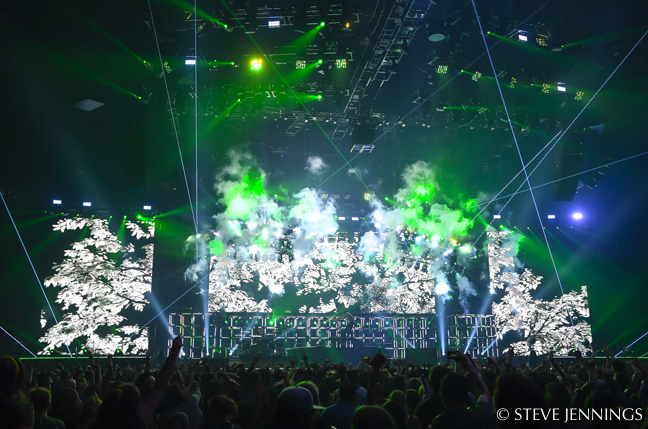 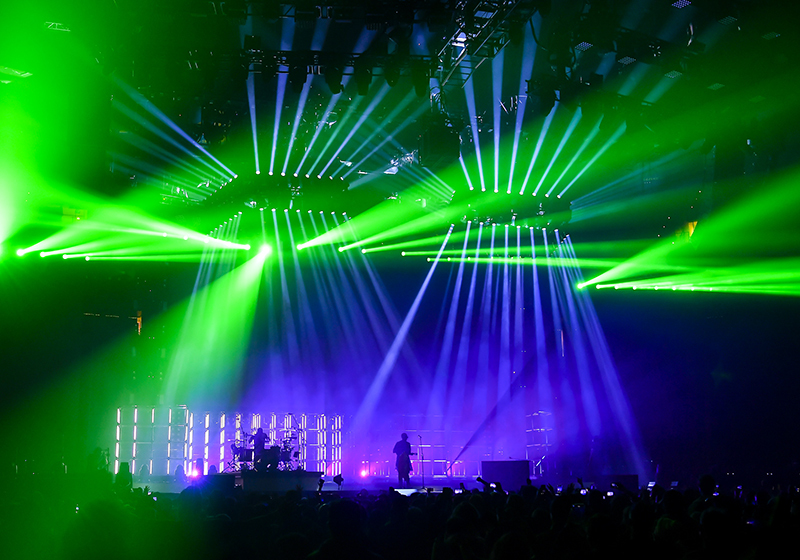 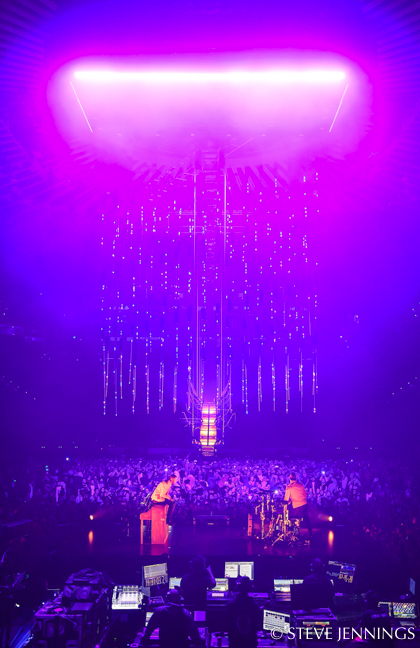 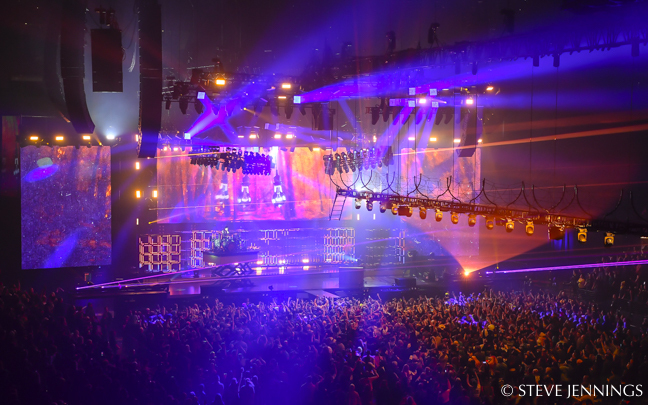 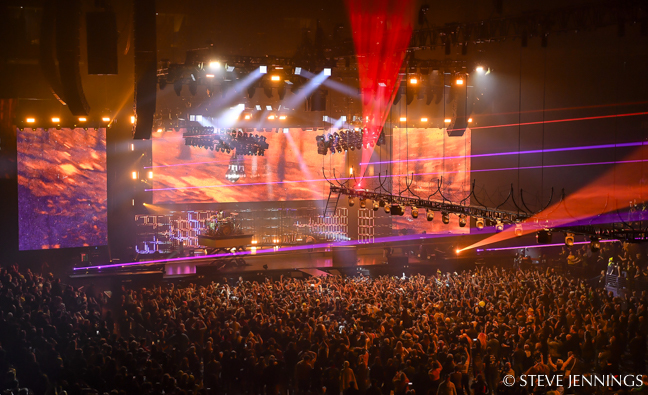 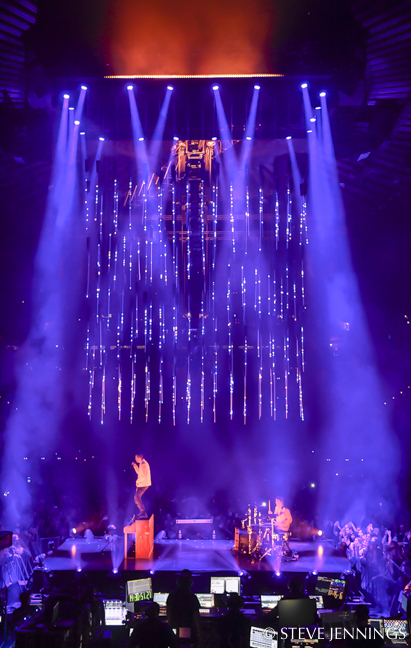 Every light in the show was hung in the air, and they had a dedicated VR area taped off with infrared sensors and five computers including two state-of-the-art custom built single-threaded previz machines that have overclocked processors and water cooling, loaded with RAM and graphics cards. 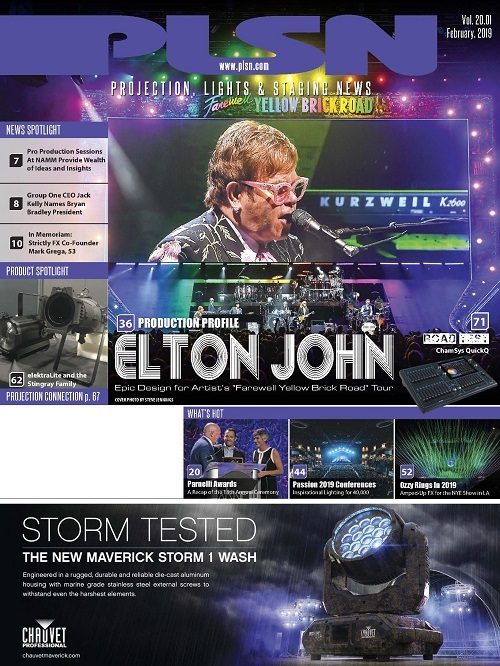 “I developed a custom process to previz that allowed us to control video content playback as well as audio track and timecode from the console utilizing an application developed by Thomas Krautscheid, whom I met while working together on BMW’s 100 year anniversary show,” Slezinger explains, about a memorable corporate gig that took place in 2016. 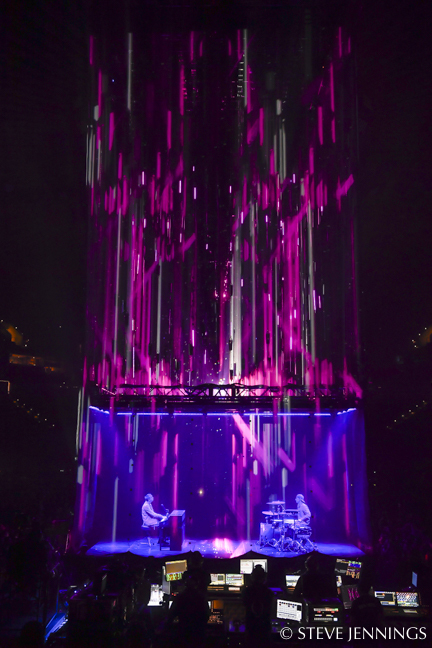 “The app allowed us to create cues offline and perfectly align them with the audio waveforms in the track, as well as label, color-code and functionally assign executors before pushing over the network to the console and loading everything into the timecode pools, sequences, executors on specific pages, etc. 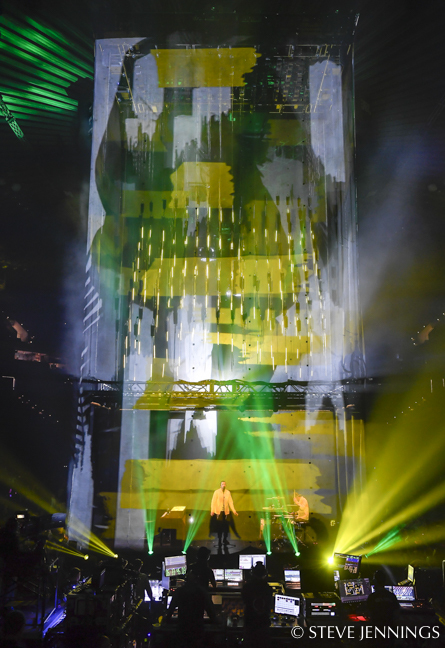 We programmed about 24 songs in the previz room; some with over a thousand cues each. 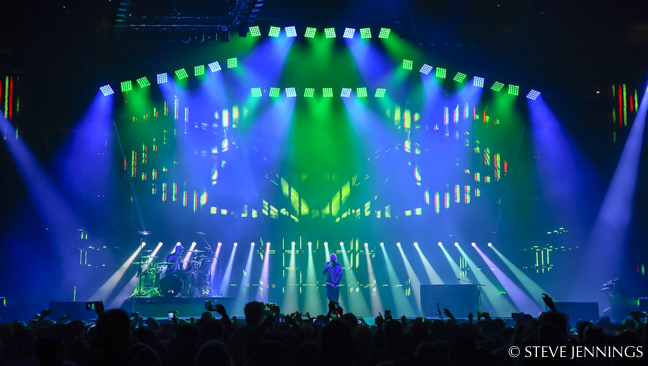 It’s a very tight set list, for the most part, because of the automation and lift movements, but it does change from time to time,” he adds. 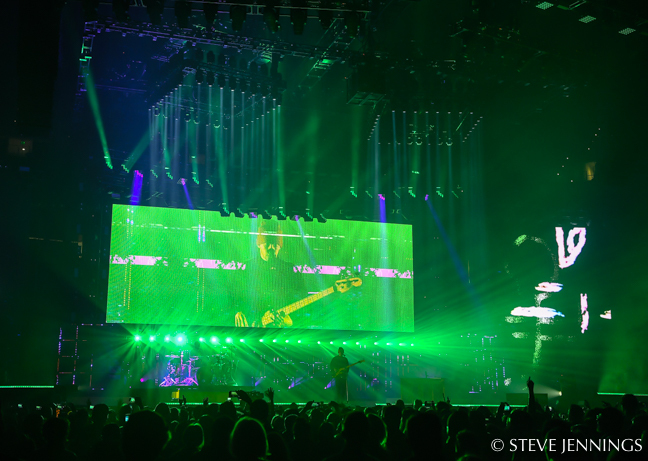 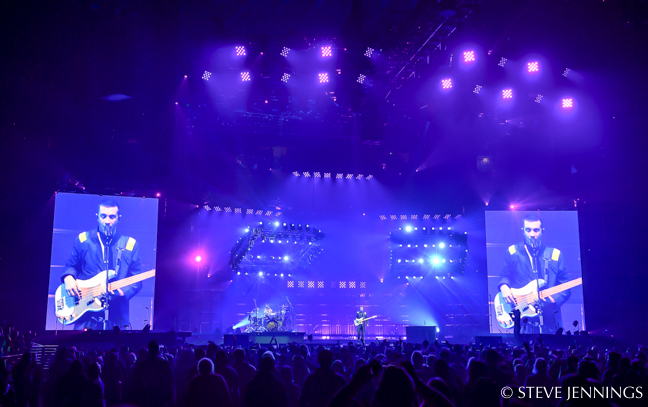 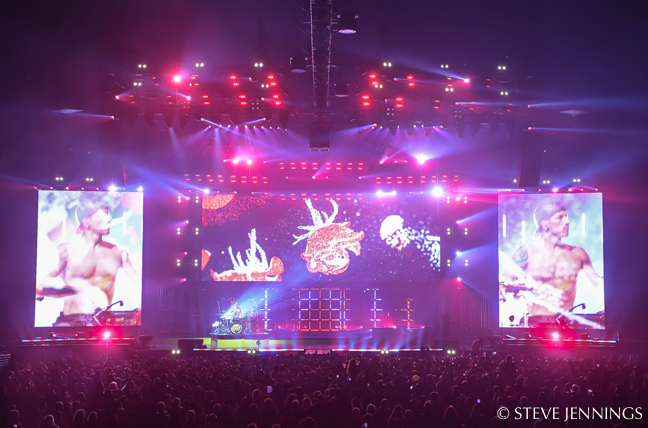 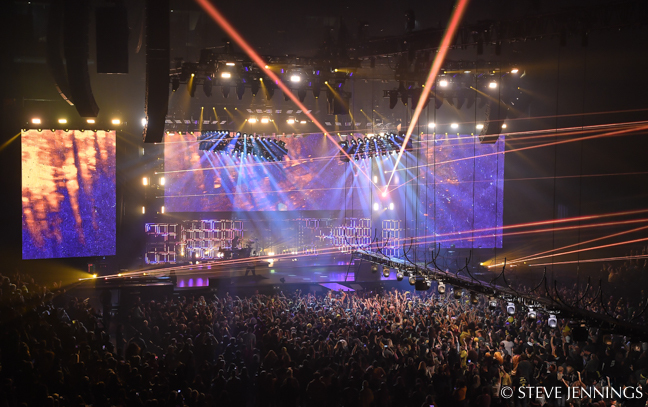 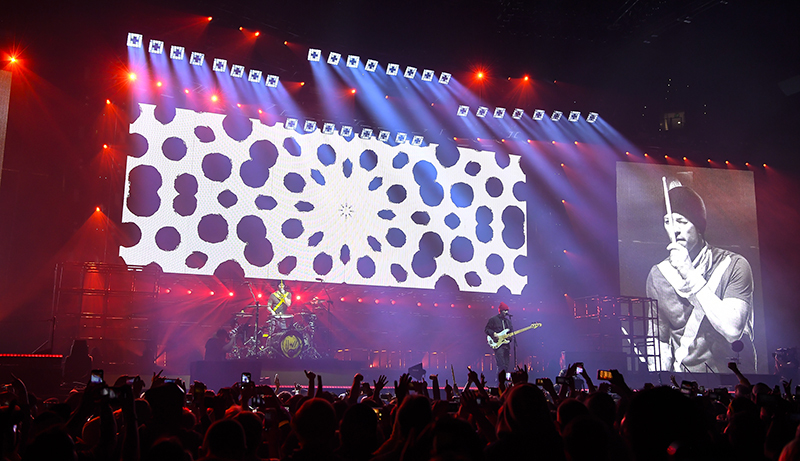 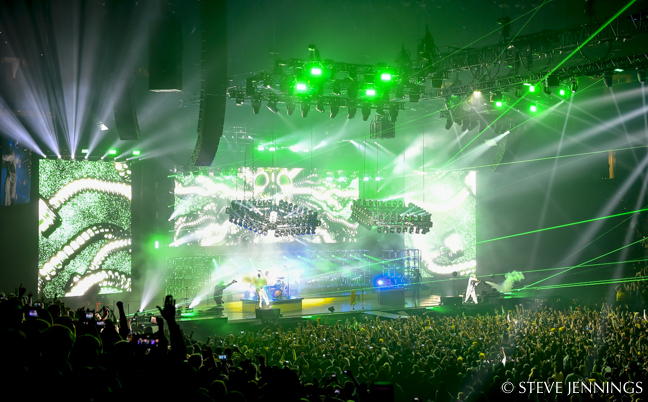 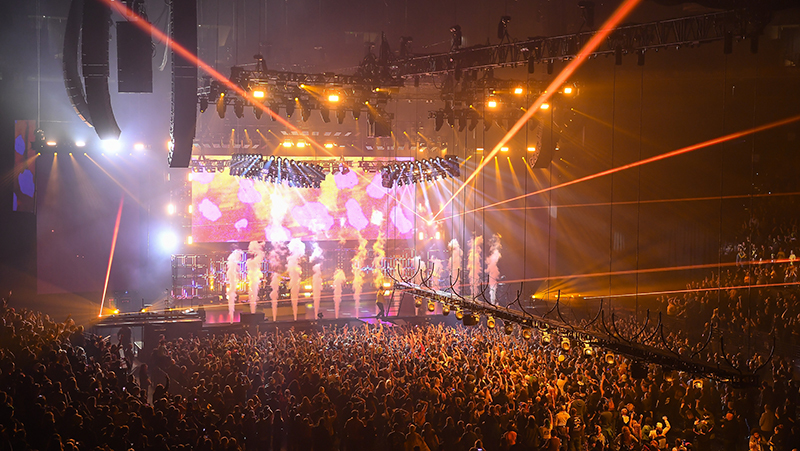 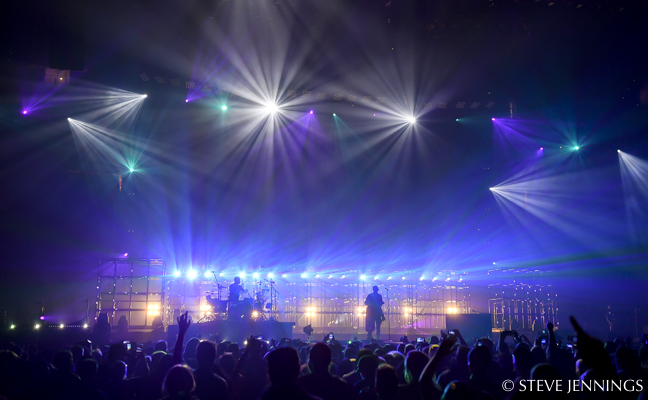 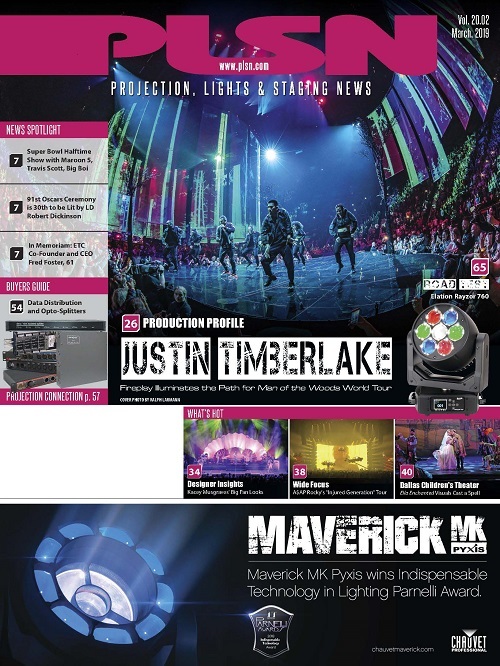 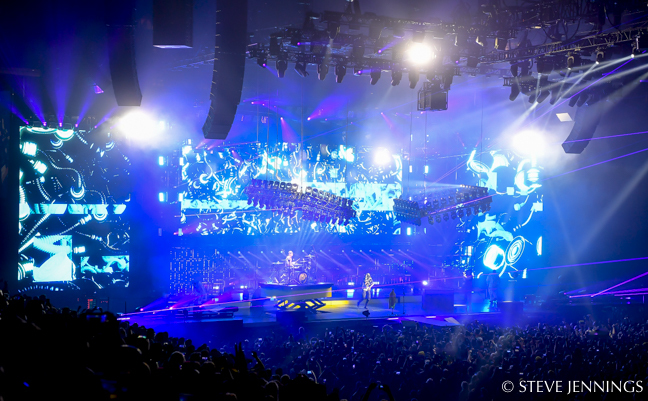 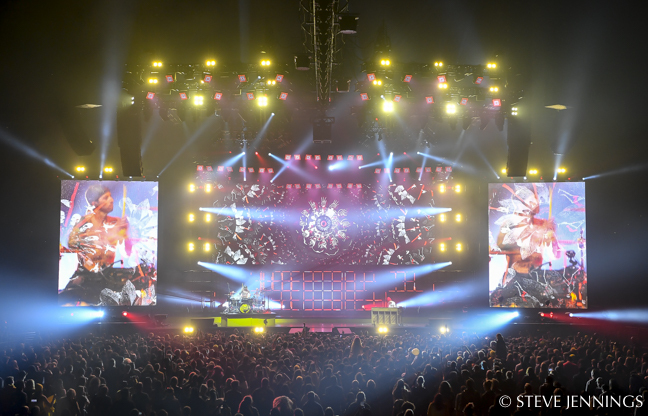 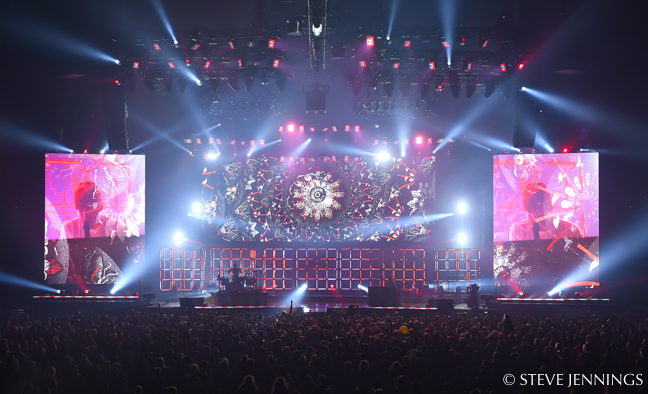 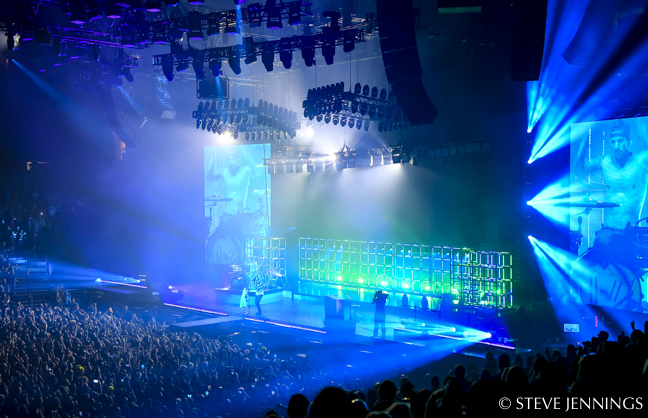 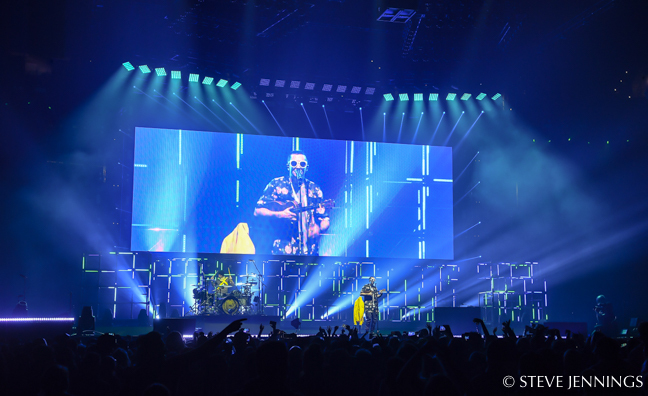 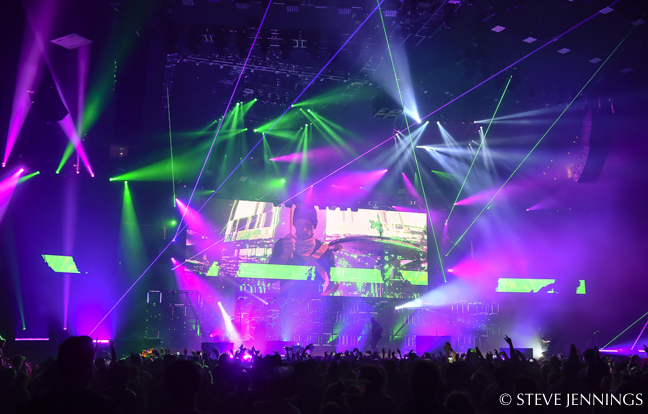 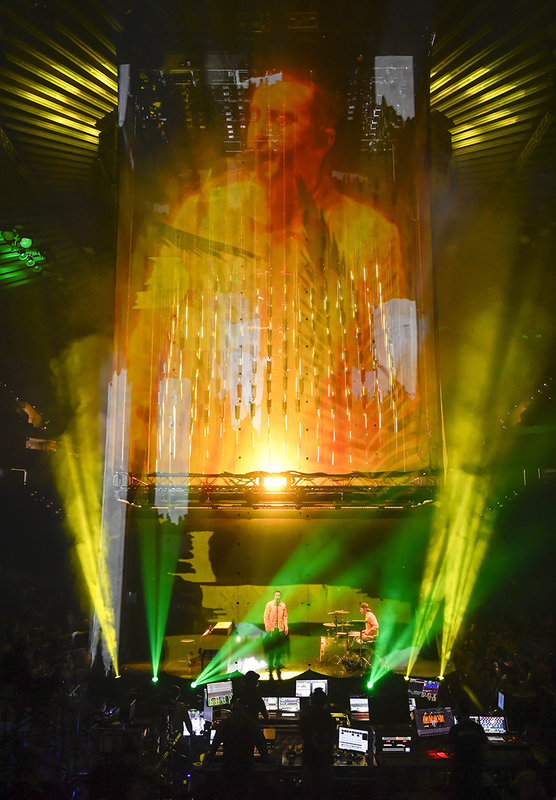 Daniel Slezinger, Justin Roddick and Michael Gibson own Concert Investor, which is a production agency that produces the live elements of the tour as well as TV moments. 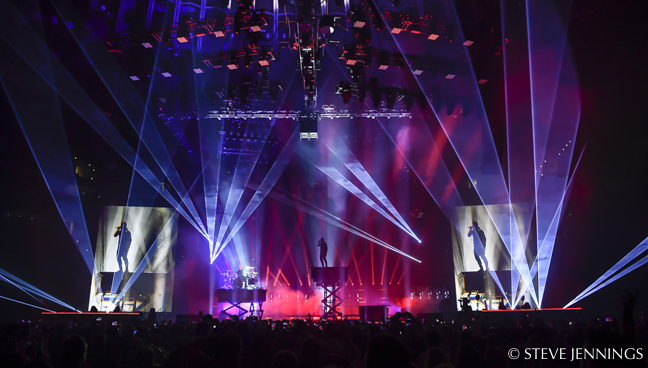 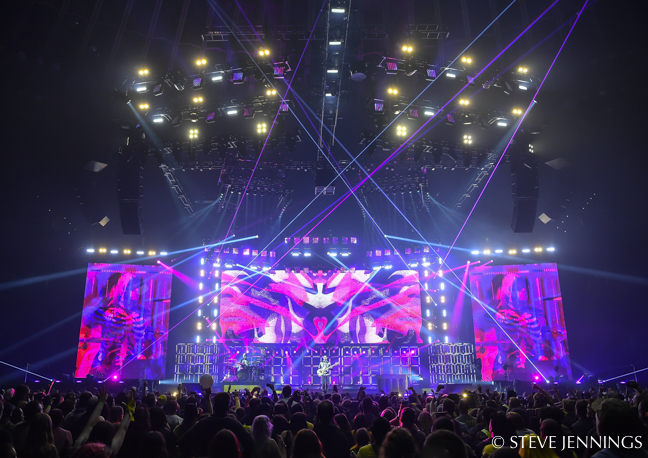 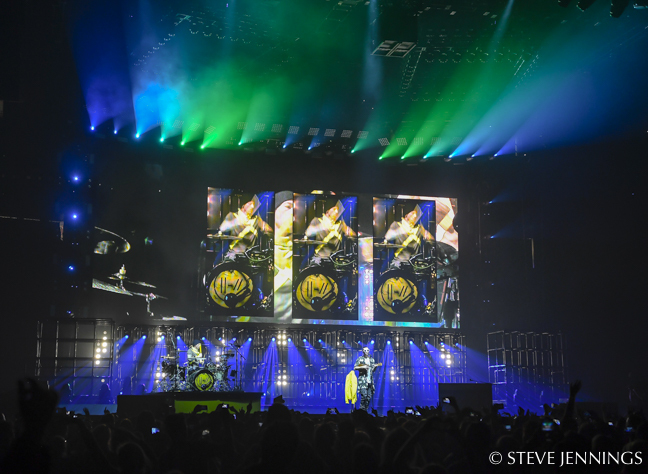 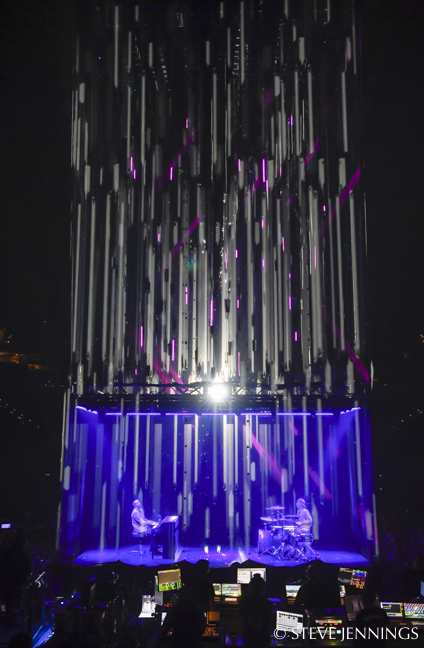 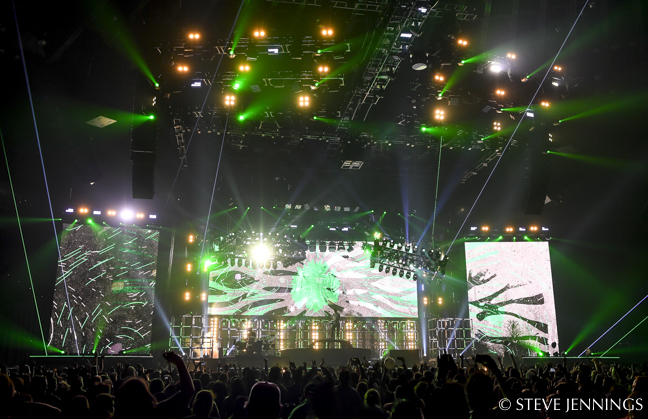 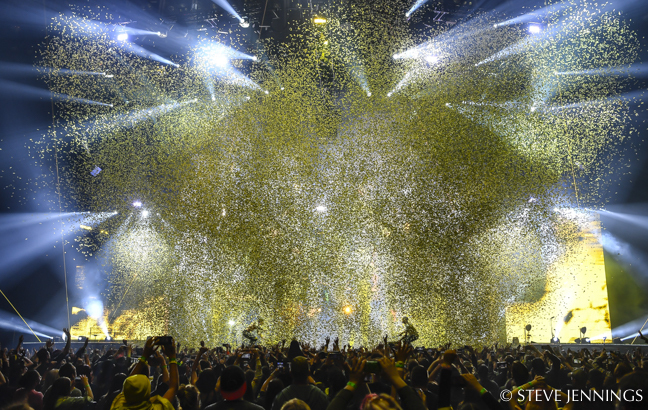 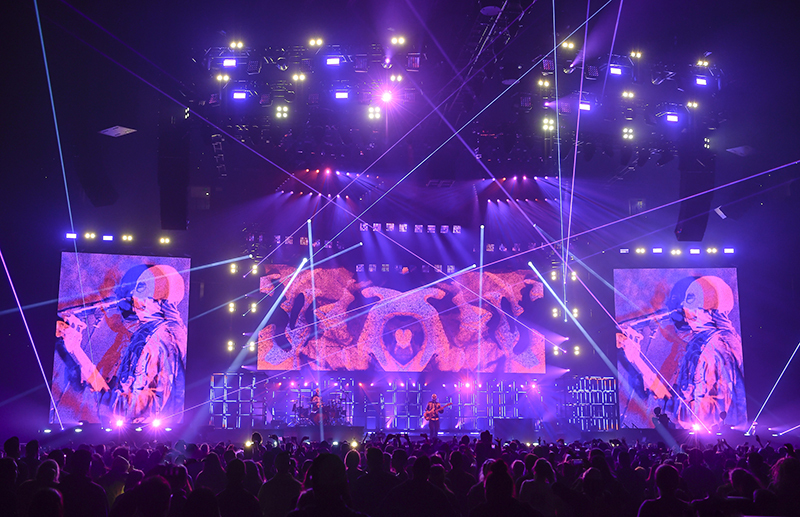 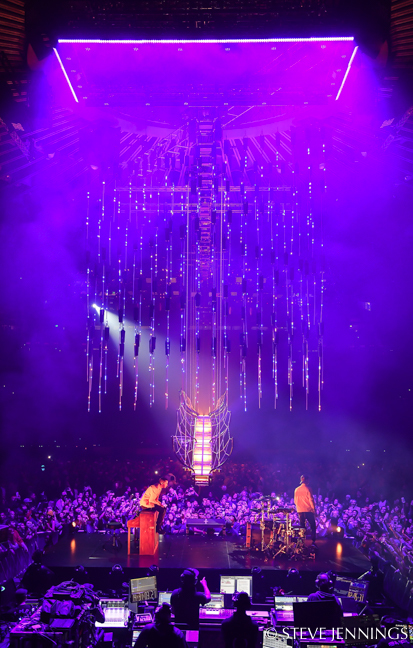 They manage the tour’s production budget, production design, programming, vendor selection and coordination as well as hiring the touring personnel for the band. So, once they’ve completed the design and programming process the company manages the gear assets such as audio, lighting, LED, projection, cameras, automation, rigging, custom set pieces, special effects; lasers, cryo, pyro, confetti, as well as motion graphics, crewing, and shipping occasionally like air freighting the production between continents. 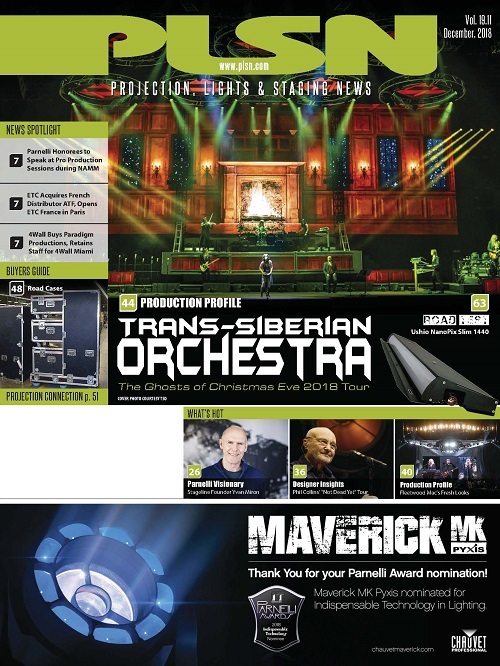 They have strong global vendor relationships and a vast worldwide network of professional industry employees and freelancers. 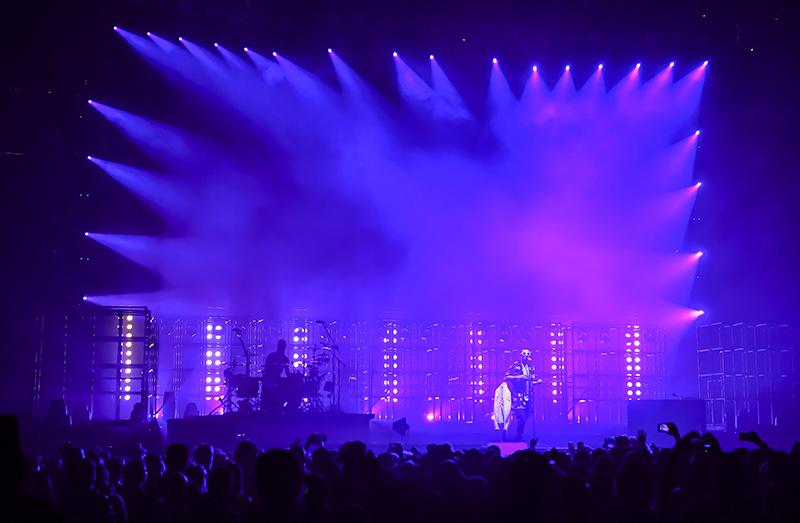 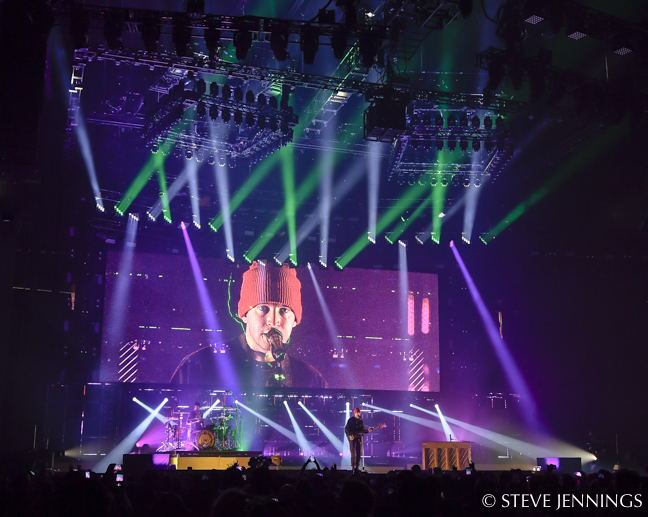 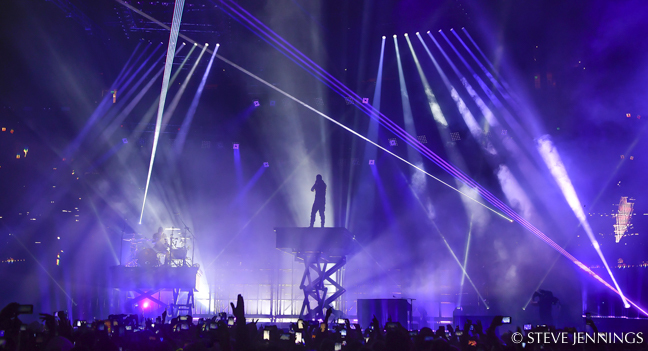 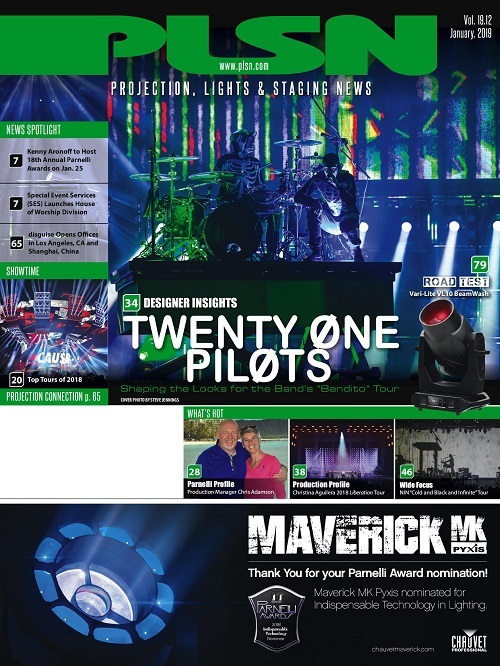 Shapard says, “When you approach Concert Investor with a problem or an issue, they provide you with a solution, no matter the difficulty,” says Twenty One Pilots’ designer, programmer and director Tyler “Shap” Shapard.